What are Van Sales? Which Industries can Benefit from them? The above quote cannot get clearer. According to a study conducted by KPMG on FMCG and Retail Value Chains, organizations are making a significant supply chain technology investments. The market value which stood at $13 billion in 2017 is expected to shoot up to $19 billion by 2021. A plethora of new technologies is enabling supply chain partners to sense, predict and respond more efficiently to consumer demand signals. While the e-commerce giants like Amazon has been promising next-day delivery, we also look at the retailers keen to offer their products to their customers within 24 hours. We are able to see a change in consumer behaviour with the 24 hours delivery and free shipping. The Next Day Delivery is a service where the Sales Executives visit retail outlets, usually once a fortnight/a month on their beats to collect orders. These orders are then shared on WhatsApp or similar other applications with distributors. In these cases, payment collections and stock entries are not made in any system. Since the delivery is done at the distributor’s discretion, these transactions are completely handled by the distributor. 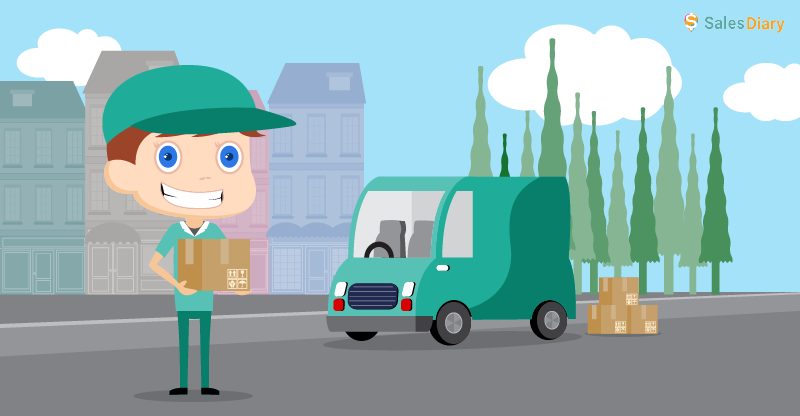 This form of delivery service is totally different from the former one. In this case, the sales executive goes on the beat along with the distributor van/delivery boy. As the sale happens, the orders, which are placed to the company once in a month/ fortnightly, are delivered on the spot. Unlike the Next Day Delivery model, the payments and stocks of the distributors are updated for records. A Van sale, when compared to the above two models, is a much rigid form of delivery service, wherein each van is considered as a distributor, and primary orders are booked on a daily basis. As soon as the orders are loaded into the van, an approval is required by the sales representative. 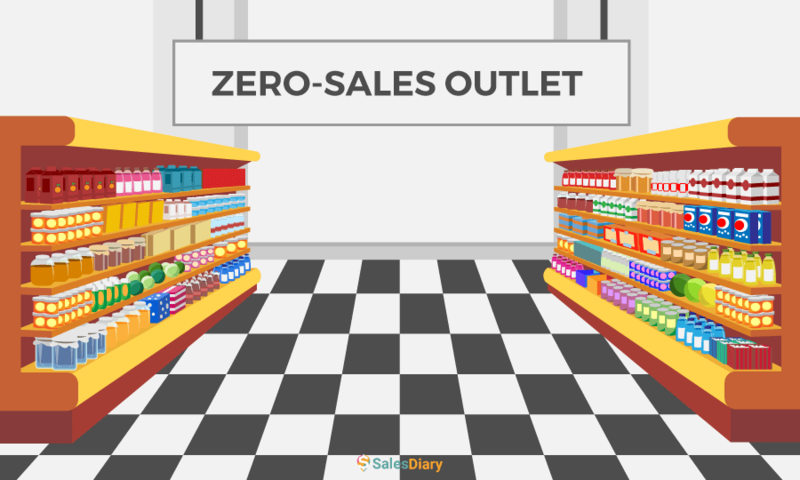 However, sales execution takes place the same as other modes. While closing the End of the day, the executive will get an option to either return all the goods back or to retain it in the van for next day sale. Van sales can be considered as the backbone of supply chain management for Direct Store Delivery (DSD) companies in the FMCG, CPG/Retail Industry. The key to growth and sustainability is greater customer satisfaction through speedy and effective route management without increasing costs. The companies need to optimize resources and improve their invoice-to-cash cycle and at the same time reduce operating costs per route. Now that we are aware of different Supply Chain models adopted by FMCG sectors, let us know a little more about van sales, given that it is the most complex form of a delivery system since tracking the sales poses a big challenge for the companies. Generally, the Van Sales form of Supply-Chain Management System is adopted by companies who have fast-moving products with low shelf-life. A Van Sales delivery system also helps faster deliveries and reduces the cost of servicing clients. Fresh produce is facing the major challenge of remaining fresh until it reaches the end user after going through a whole process of travelling from the farm to the distributor. Although considering the end users’ comfort, companies like Big Basket offer online delivery services, the demand for fresh produce from the retail outlets still has remained the same. 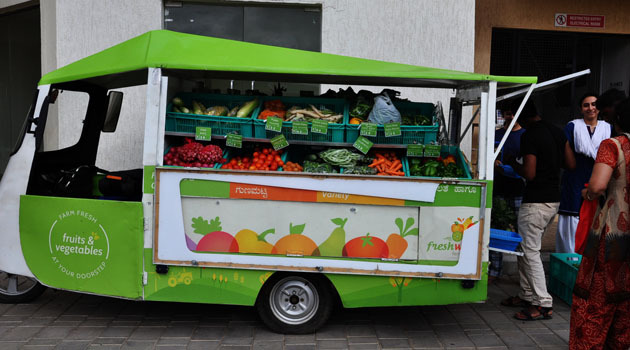 There has been an increase in the number of vans selling fresh fruits and vegetables. 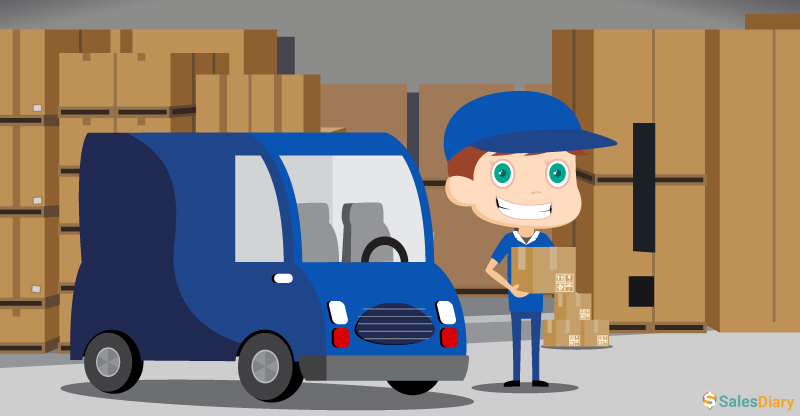 Supply Chains like Freshworld, Hopcoms, and several other companies are investing more in Vans for quicker delivery of the products in the doorsteps of the end users. 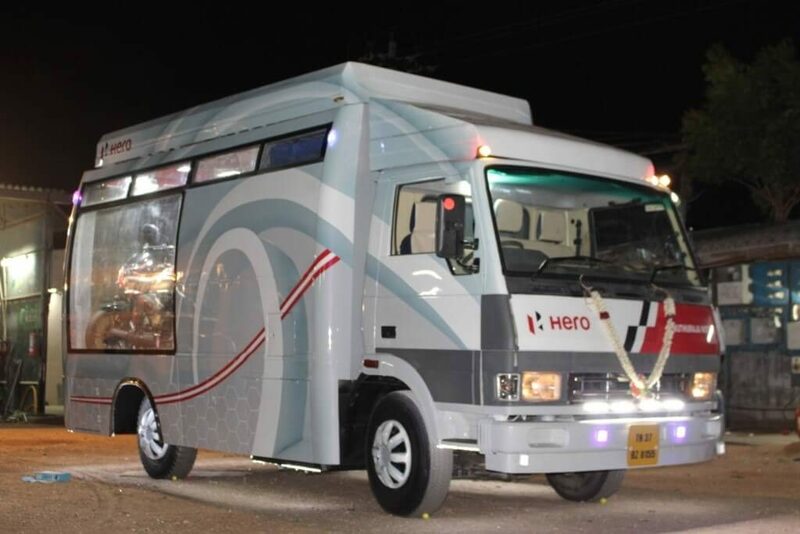 In a bid to cover a larger area, and to beat the continuously growing competitions with various dealerships, companies like Hero has gotten into the concept of truck sales, wherein they don’t just sell the bikes, but also offer to provide service in the remote areas. There is also a surge in the number of companies selling medical equipment or farm machinery using this delivery system. Companies that sell products which need technical guidance again can adapt Van Sales. Dealers are on the go across the country, demonstrating the products, making it easier for the end consumers to make their decisions. The products having a shorter lifespan like bread, dosa batters, dairy products, need to reach the end-users at the earliest. And thus there is a need to create an urgency among the customers or just deliver it to them at their own comfort. Van Sales also serve to be an ideal form of the delivery system for the bakery items. 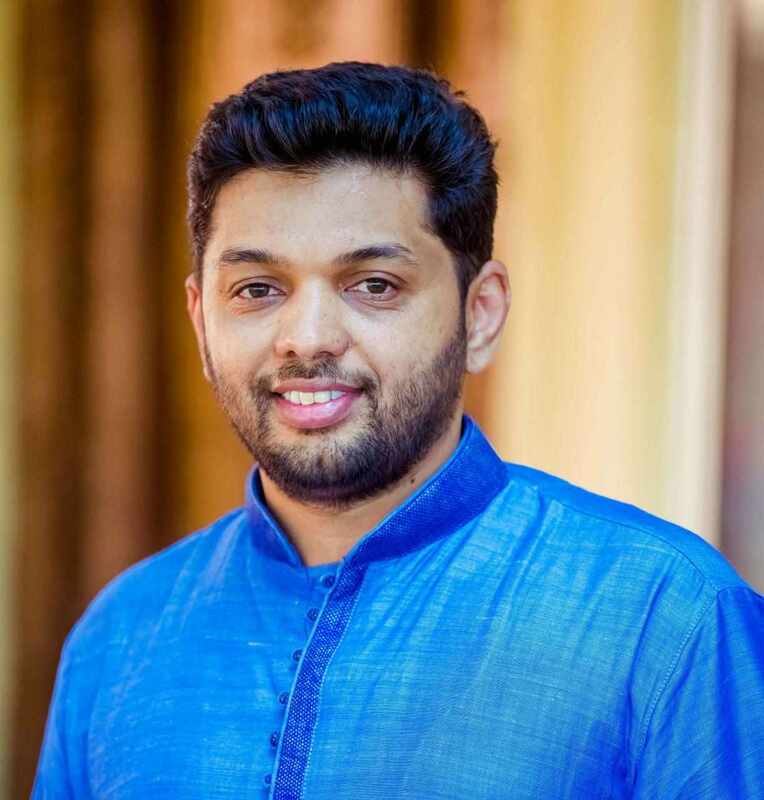 While companies like Just Bake whose wheels have already hit the roads, companies like ID Fresh Food have been supplying Idly-Dosa Batter all over the country. 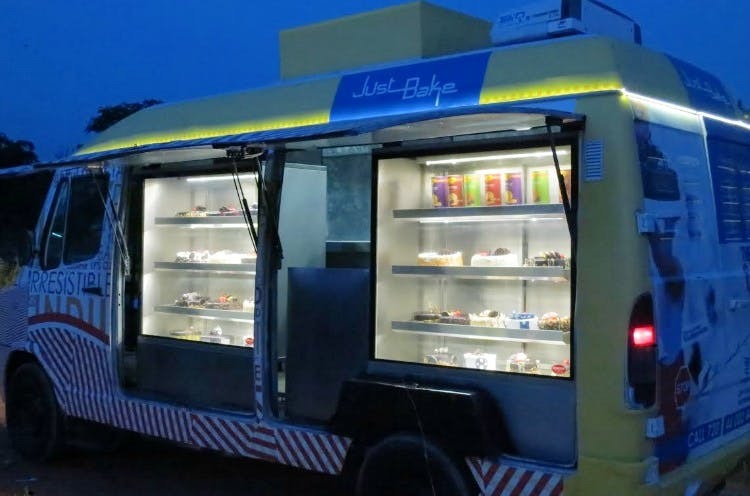 We also find trucks of dairy companies like Nandini and Milky Mist and even ice cream trucks of Kwality, Arun and several other companies in almost all the urban areas. More startups from Art & Craft Industries, Stationery are cropping up to give comfort to the end users by taking these products to the remote areas. 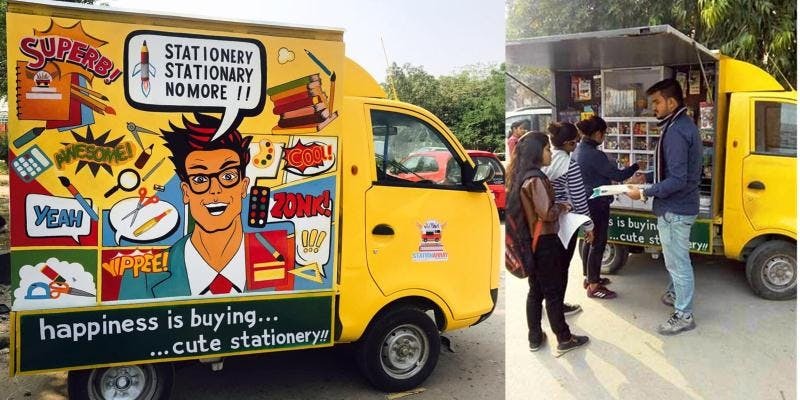 Knowledge on Wheels Pvt Limited is one such company which has entered into mobile marketing by selling books, stationery and gift articles on wheels. In a fast moving market, companies strive to keep moving and it becomes imperative for them to stay updated with the recent technologies. As a company expands its operation, it has to look for ways to simplify the process rather make things complicated. And thus comes the role of SalesDiary, a Sales Force Automation tool, which keeps the track of all the van sales without any hassle, and helps businesses achieve their sales target.